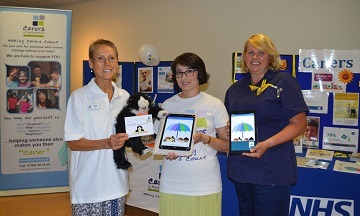 This week is Carers Week we are creating more opportunities for carers to access information or support and stay healthy and connected - the theme of the week. 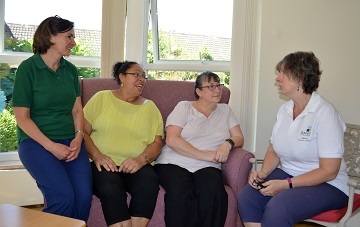 We have set up a support group for carers in the Borehamwood area that met for the first time during Carers Week (Thursday 14th) and we will have at least 16 local ‘Hub’ groups by 2019 with two more planned this year in Harpenden and Royston. We also have Forums for certain groups of carers – dementia, mental health, those affected by someone’s drugs or alcohol misuse and learning disability. After support from family and friends, the next type of help that makes the most difference to carers is support from other carers. 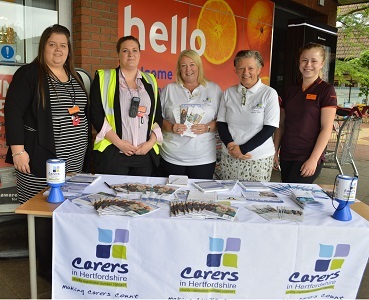 A third of carers responding to a Carers in Hertfordshire survey about the caring situation in Hertfordshire said they had found peer support useful. Almost 1,500 carers responded to the survey earlier this year and 37% said they felt isolated – the groups and free courses and workshops that Carers in Hertfordshire offers carers help address this. One in four carers locally have missed or put off attending a health appointment because of their caring role. The national figure is 51%. To address this, Carers in Hertfordshire works with hospitals, GP practices, pharmacies and the two Clinical Commissioning Groups in the county to identify the best ways to support carers. Most GP practices in Hertfordshire have a Carers Champion. You can contact us by calling 01992 58 69 69 and for a list of events for carers taking place around the county please see our Carers Week page.